Chase after Shredder and get the map back! Kick up the turtle-powered action to take on Shredder! When Shredder speeds by on his Dragon Bike with dual flame exhausts and real rubber tires, Donatello spots a map to the Turtles' lair in his claws! 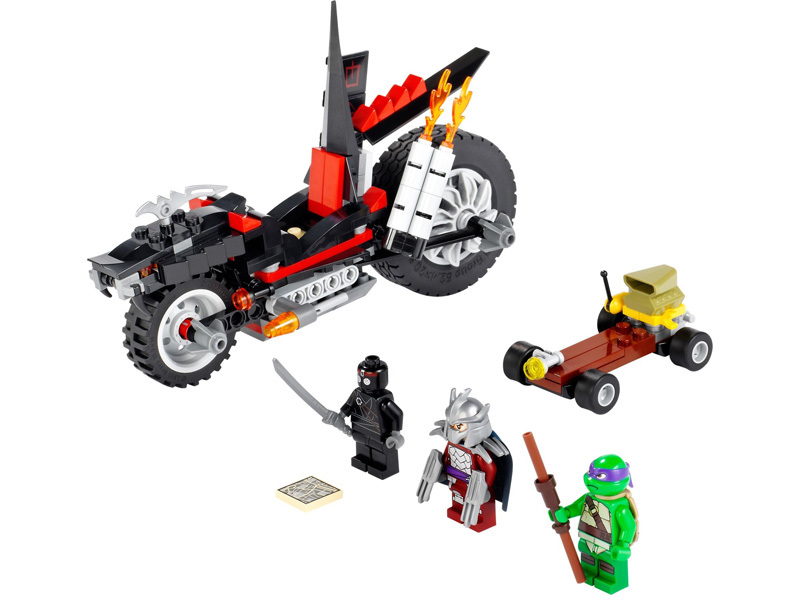 Crank up Donatello's motorized skateboard to stop him before he finds the secret lair. Battle the Foot Soldier with Donatello's bo staff and chase the metal-faced menace through the city streets to get that map back! Chase after Shredder on Donatello's motorized skateboard! Take the sewer map from Shredder before he finds the Turtles' lair!